If you had a relative or family member, who fought in Europe during WW II, or you are a military history buff, and you haven’t visited Normandy yet, this may be your chance to make that visit. The Allied forces paid a terrible price to make and hold the initial landing in France and nearly all the men and supplies for the push into the German Hartland came over this and near-by beaches and ports. The horrible price they paid can be seen in the near-by American Cemetery where 9,387 American men are buried. The May 27, 2018 RUPA Cruise with Uniworld is an eight-day river cruise from Paris to Normandy and back to Paris. The day spent at Normandy may be the highlight for many of us, but there are other reasons to take this trip. After your arrival at Paris Charles de Gaulle Airport you will be greeted by a Uniworld representative and transferred to the ship. The next day the ship stops at the little town of Vernon. Nestled along the banks of the Seine, Vernon is a charming city and an ideal starting point for exploring this historic region. You may visit the home and gardens of impressionist master Claude Monet—they were the inspiration for many of his most beloved works. Later that day your ship sails to lovely Les Andelys, a town dominated by the ruins of a great stone castle on the heights above the river. The third day the ship stops at the medieval capital of Normandy, Rouen. Rouen has managed to preserve much of its historic core despite being turned into a battlefield numerous times. The roll call of famous people who lived or died in Rouen is long and varied—Richard the Lionheart, Joan of Arc, Gustave Flaubert and Claude Monet are among them. Rouen’s most famous landmark, the cathedral—celebrated in 30 paintings by Monet—was begun some 800 years ago, acquiring a multitude of spires and styles. The cathedral square, with its ornate Renaissance clock, is a good place to begin the exploration of the Old Town. The cobblestone alleyways are lined with tall half-timbered houses, often with shops on the first floor and apartments above. Reminders of life and death are common here: carved skulls and other symbols of death on the buildings near Saint-Maclou, a spectacular late-Flamboyant Gothic church, and the adjacent Aître Saint-Maclou, once a cemetery for plague victims and now a garden. In the Old Market Square, is bronze cross marking the most famous death in the city—the place where the English burned Joan of Arc at the stake. The fourth day will find the ship docked at Caudebec, a lovely little town on a serene loop of the Seine. From here you will be bussed through the beautiful Calvados countryside to Honfleur, a delightful seaside harbor and city of painters. A walking tour of the fishing village begins at the former smugglers’ harbor of Vieux Bassin—the most frequently painted scene in Honfleur—which looks much as it did a century ago, though now the boats in the harbor are more likely to be pleasure craft than fishing vessels. Your local guide will take you down tiny lanes, where houses stand shoulder to shoulder in a jumble of styles: narrow 19th-century slate-roofed townhouses, 15th-century fishermen’s cottages, and tall and elegant mansions—many adorned with figures of chimeras or saints. You’ll also see St. Catherine’s Church, built in the 15th century by shipwrights who gave it an oak ceiling that looks like the hull of a boat. On day five the ship is back upriver to Rouen. The Normandy coast will forever be associated with the Allies’ D-Day invasion, a day that comes vividly to life today on an excursion to the beaches of 1944. There is a choice to be made here: visit Utah and Omaha beaches and Sainte-Mère-Église or Juno Beach and the Canadian Center. At each location, you can see the actual equipment used for the invasion—tanks, landing craft, bombers, gliders—and get a feel for what these young men experienced. Whichever historic beach you choose to visit, you will get a chance to visit the American cemetery, and pay your respects at the end of the day with a wreath-laying ceremony. 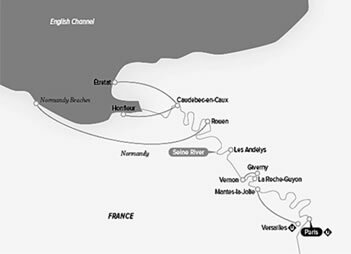 On day six the ship will be at Mantes-la-Jolie where once again you will have a choice to make. Should you visit the Palace of Versailles, which was the official residence of the country’s kings and queens from 1682 until the revolution, or should you visit Château de Malmaison home to Napoleon Bonaparte’s empress Josephine? Both are lavishly decorated and restored to their former elegance. On the seventh day the ship returns to Paris, and you have a host of options for exploring incomparable Paris: See all the important sights via boat and motor coach, or explore the heart and soul of the city on a walk from Notre Dame to the Latin Quarter or bike along the quays with a knowledgeable guide. On day eight you transfer from the ship to the airport. Book prior to September 30th and all prices include air fare, airport transfers, gratuities, all beverages including Premium spirits and wine, farm to table dining, onboard bicycles, Nordic walking sticks, fitness class, Wi-Fi and excursions. There is a 10% discount if you pay in full prior to September 30th. Repeat passengers get an additional 5% discount. 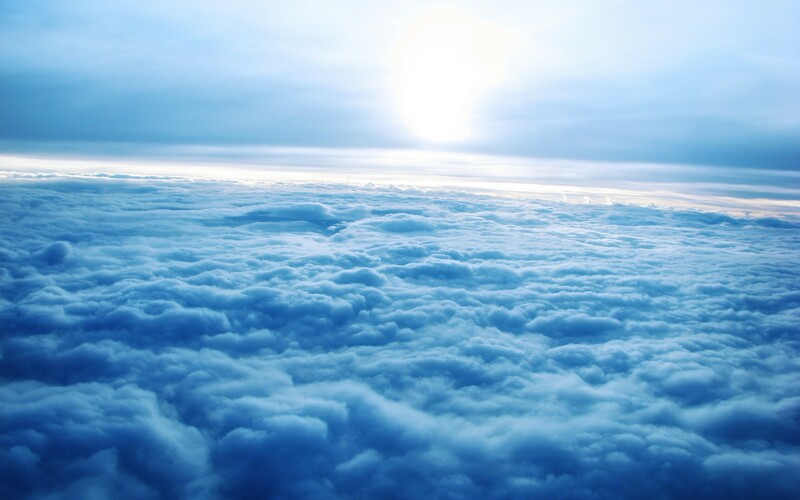 If you book your own air, the price is $1,000pp less than advertised. All passengers will receive a post cruise rebate. The rebate will be $200pp if air is included and $100pp if it is cruise only. There will be an onboard credit of $100 per person if more than 10 people are in the group. Port charges are $140 pp. Single supplement is available. Go to www.uniworld.com for more information. We are once again working again with Jerry Poulin at Jerry’s Travel Service. If you have questions, please contact him at 1-800-309-2023 ext.33 or 508-829-3068 or gpsp@aol.com. There are only 64 cabins on this ship, so if you would like to go you must act soon. The next RUPA cruise for 2017 is going to be the “12 Day Celtic Adventure” on Holland America. It will depart from Copenhagen on July 30th and return back to Copenhagen on August 11, 2017. If you put down a Future Cruise Deposit with Holland in the past and haven’t used it, it will take care of your deposit for this cruise. 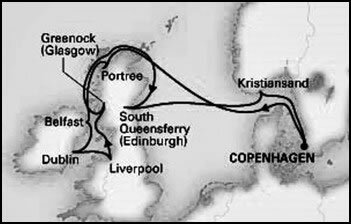 We have never experienced this itinerary and it looks like a good one as it makes ports in Scotland, Ireland, England and Norway and Denmark. Copenhagen, Denmark is one of the easiest European capitals to fall in love with and the people speak perfect English. The sights of colorful old buildings, cobbled streets and the tower- and turret-dotted skyline lend a fairy-tale charm—this was, after all, the home of author Hans Christian Andersen, and is the home of both the Little Mermaid statue and Tivoli Gardens. It may pay to spend some extra time here, either before or after the cruise to take it all in. The first port of call after leaving Copenhagen will be Portree (Isle of Skye) Scotland. Portree is the largest town on The Isle of Skye which in turn is the largest of the Inner Hebrides. The island offers an intriguing and curious contrast of landscapes and cultures with green rolling hills and jagged mountain ranges. In town at the Aros cultural center, you can learn of the island’s rich history and all about the area’s Celtic, Norse, and Scottish influence. Portree is the center of commerce and cultural life on the island, with a number of boutiques, cafés and pubs that belies the town’s size. The eye-catching harbor welcomes cruise ships and fishing boats bringing in the day’s fresh catch. Belfast, Northern Ireland, the next port of call has emerged from decades of conflict to become one of Ireland’s most intriguing cities. In the 19th century, its location on the banks of the River Lagan made it an industrial center for, shipbuilding, tobacco and textiles. And this legacy shaped much of its architecture: Grand Edwardian and Victorian municipal buildings and warehouses are found throughout the city alongside telltale scars of its more recent past. While the legacy of Belfast’s complex conflict, known as The Troubles still looms, there are many other sides of Northern Ireland’s capital to explore, from the quaint streets of the Cathedral Quarter to the newly regenerated Titanic Quarter, where the ill-fated RMS Titanic was constructed. The 3rd port of call brings you to Dublin Ireland where you will have two full days to let Dublin work its magic on you. Founded by the Vikings on the banks of the River Liffey in the 9th century, the city occupies one of the loveliest natural settings of any European capital. Its architecture is a jumble of different periods, including the medieval cobblestone streets of Temple Bar, the elegant terraces and leafy squares of the Georgian period, and the modern architecture of the revitalized Docklands district. But while its heritage is undeniably a major draw for visitors, these days Dublin is vibrant with thriving technology firms and a young population eager to make their mark. A not to be missed visit would be the Guinness Storehouse Museum which tells the story that began more than 250 years ago. You’ll discover what goes into making the ‘black stuff’ — the ingredients, the process, and the passion, ending with you and a pint of Guinness. The next port of call is Liverpool, England, famous for its status as a 19th century world capital. It’s also celebrated for the landmarks that have earned it a UNESCO distinction. But probably nothing has affected Liverpool in the world’s imagination like the four young men who sang and played guitars in the 1960’s, The Beatles. You could visit their former homes, and places that inspired their music, like Penny Lane and Strawberry Fields, and see the places where they worked before they found fame and fortune as musicians. Greenock, only a stone’s throw from Glasgow, is the 5th port of call, and is the deep water port for Scotland’s largest, and many would say, most exciting city. Although Glasgow has a long and distinguished history, dating back to as early as 4000 B.C., today it is a monument to Victorian architecture at its finest. Glasgow’s skyline is a kaleidoscope of architectural gems, encompassing the magnificent 12th-century cathedral, stunning Victorian cityscapes and revolutionary Art Nouveau buildings. Against this backdrop, the famed art galleries and museums of Glasgow have ensured that its cultural heritage stands alongside that of other major European cities. Surely it is here that you will find a distillery, where the ‘water of life’ — Scotland’s greatest gift to the world (although perhaps second to the bagpipe) — has been produced since modern man first discovered thirst. The sixth stop on this cruise is South Queensferry the port for Edinburgh Scotland. A key attraction here would be Edinburgh Castle and the Royal Mile; the best way to appreciate the historical past of Edinburgh is to explore the Royal Mile. This famous thoroughfare was the heart of the Old Town of Edinburgh during medieval times, and stretches from the high hillside setting of Edinburgh Castle for approximately a mile downhill to the Palace of Holyrood House. It is really a continuation of four streets joined together — Castle Hill, Lawnmarket, High Street and Canongate. Edinburgh Castle, an imposing castle-fortress, stands proudly at one end of the Royal Mile. There’s more to Scotland’s capital than the Castle, though. Edinburgh proudly displays multiple exhibits on national and international scientific achievement at the National Museum of Scotland, as well as some fantastic works of visual art at the National Galleries of Scotland. The final port of call prior to the return to Copenhagen is Kristiansand Norway, the capital of the southern coastal region known as the Norwegian Riviera. Kristiansand has earned the nickname “Summer City.” The Gulf Stream keeps temperatures mild and snow to a minimum, so Kristiansand is Norway’s outdoor playground. Even within just a few hours, Kristiansand’s grid layout makes it simple to get around on foot to explore historic sites such as the old town, which dates back to 1631, and former military fortresses and installations. Other categories are available. Taxes and port charges are $227.93 per person subject to change. If you traveled with us on the last RUPA cruise and you book this cruise before November 15, 2016, you will be eligible for a special bonus from Holland of up to $200 per person shipboard credit. A deposit of $600 per person will hold your cabin and is fully refundable until 75 days prior to departure. If lower prices become available, you will be rebooked at the lower rate. For more details on this cruise, go to Holland America website; under Destinations, select Europe, then select Northern, under Date select July, 2017, click on View and look for “12 Day Celtic Adventure.” We are working again with Jerry Poulin at Jerry’s Travel Service. If you have questions, please call him at 1-800-309-2033 ext.33, or 508-829-3068 or gpsp@aol.com.